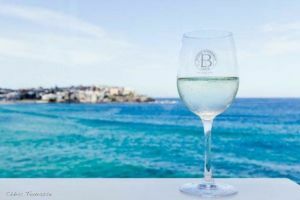 Our casual Icebergs Club Bistro seats up to 200 people and offers indoor and outdoor seating options, all with panoramic views of Bondi Beach and our historic pool. 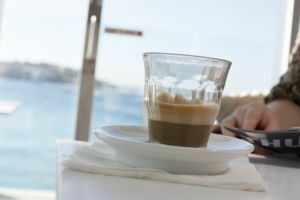 Bookings are not necessary – diners simply order & pay at the counter and are alerted when their meals are ready, although reservations can be made from Monday to Friday by request*. Our menu features just the right balance of “club favourites” and seasonally inspired modern Australian dishes to tempt all appetites. Both vegetarian and gluten free options are available, and our Hot & Cold Seafood Platter represents fantastic value at just $85 for Club Members. Reservations* can be made for a table Monday to Friday for lunch and dinner. 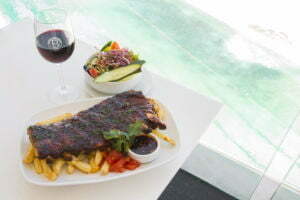 To book a table, phone (02) 9130 3120. 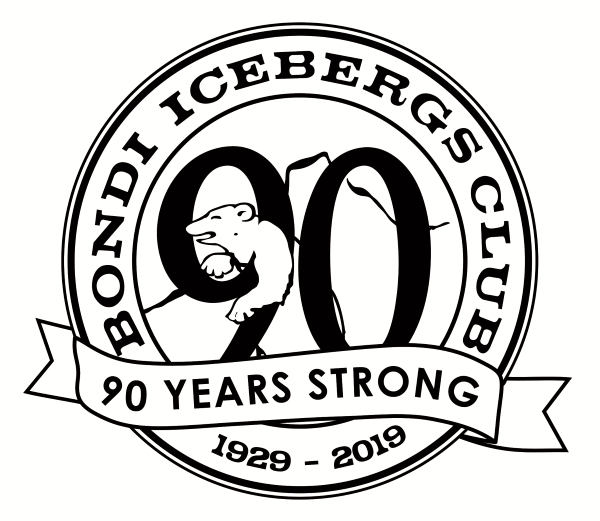 *Please note that Icebergs Club are unable to take reservations during our peak periods. Our Icebergs Bistro Menu features Grilled Harissa Chicken Breast, Braised American Pork Split Ribs, Lamb Souvlaki & Burritos to tempt you! 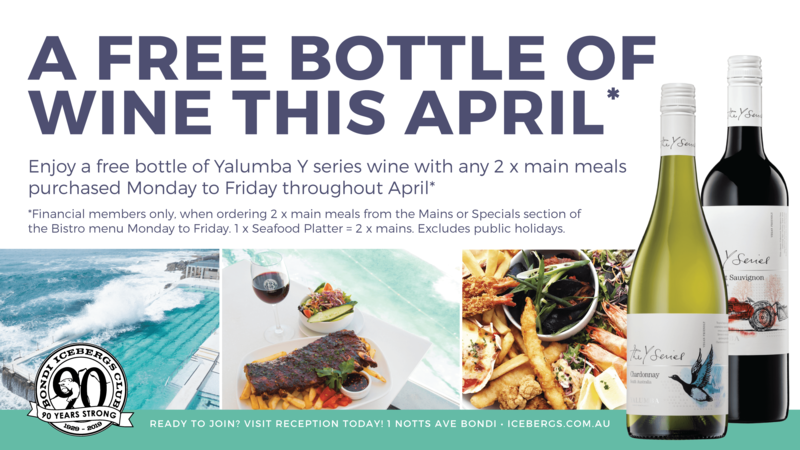 CLICK HERE to view our ICEBERGS BISTRO MENU featuring Grilled Harissa Chicken Breast, Braised American Pork Split Ribs, Lamb Souvlaki & Burritos. 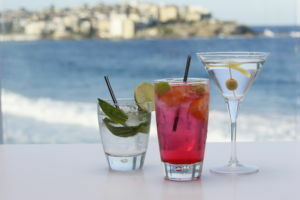 All Bondi Icebergs Members receive EXCLUSIVE food & beverage discounts so you can enjoy all your Club has to offer.